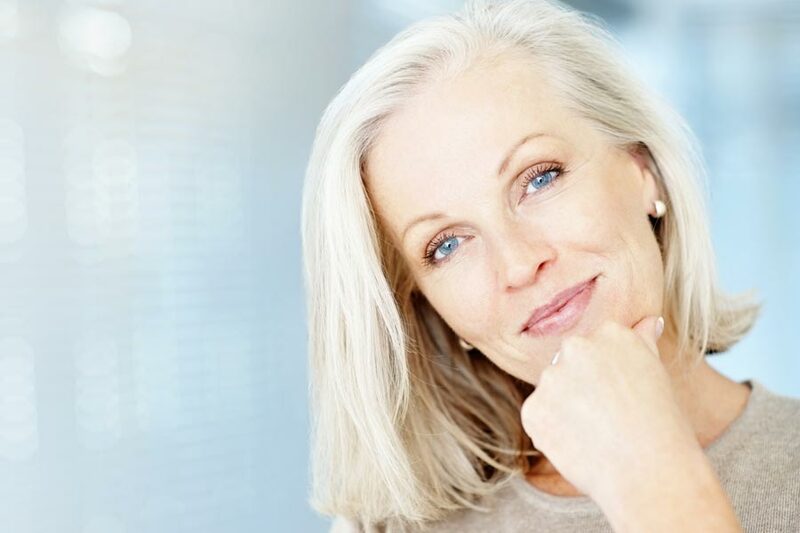 One of the most pronounced signs of facial aging Dr. Shaw sees is due to volume loss. Fat grafting or fat transfer can help significantly. This is primarily due to loss of fat under the skin and is normal and unavoidable. There are also smaller changes due to thinning of the skin, muscles and even the bones. Replacing volume in the face can also be accomplished with injectable products such as Juvederm. Juvederm is available in a variety of formulations with slightly different uses. Another option is to transfer the patient’s own fat by injecting the fat back into areas in need. Using the patient’s own fat in fat grafting provides living cells that survive the transfer and provide long-lasting results. Naturally occurring stem cells are also transferred along with the fat. There is increasing evidence that these stem cells can improve the overlying skin and surrounding tissues. Fat grafting has been an option for 30 or 40 years and today’s techniques for fat removal and injection have greatly improved since the beginning. The predictability and reliability of achieving desired results is very high. There are two groups of patients that may still have less than optimal results. They are the elderly patient and the underweight patient. There is not really a limit to where fat can be placed. The most common areas are the tear troughs of the lower eyelids, the cheeks and the lips. Non-facial areas include the backs of the hands, buttocks and breasts. Fat transfer in facial areas is done by Dr. Shaw with the patient typically under sedation. General anesthesia will be used if they are combining with other surgeries. The fat is usually taken from the lower abdomen but sometimes the hips or thighs are chosen. Removal is done by a mini version of liposuction. Incisions on the face are not necessary for fat transfer. The fat can be placed using only a small needle stick for access. Some degree of bruising and swelling is to be expected. Often there is more bruising at the fat harvesting location than on the face. The treated areas will have some firmness for the first 10 to 14 days. This is when tiny blood vessels are being formed to provide nutrition to the recently transferred fat. If a significant weight gain occurs following the procedure, the transferred fat can enlarge and create too much volume. This is not a common situation and weight reduction will allow the fat to return to the desired volume. If the lips are treated, the swelling can be very dramatic. This is temporary and can take longer to resolve than other treated areas.